Should you buy an old or new home in Jupiter Florida? Older home will need new roof, windows and heating-and-cooling system. Most homes built from 1940s to 1980s are standard models. Newer home may have bigger closets and bathrooms, but a smaller lot. Most homebuyers naturally focus on the price and location of the home they want to purchase. But the home's condition, which is partially a function of its age, should also be an important consideration. A key question for buyers should be when the home's major components were last replaced and upgraded. If those components are more than, say, a decade old, buyers should factor the cost of replacement into their decision to purchase that home. "If it's a 50-year-old house, but the roof, furnace, central air, wiring and plumbing are less than 10 years old, does it really matter that it's a 50-year-old house? If it has been maintained and upgraded, the age is rather irrelevant," Burkholder says. A newer home might be neglected or full of cheap fixtures just as an older home might be in good condition and packed with upgrades. Yet more often, the newer home will be more contemporary and less in need of immediate repairs while the older home will be out of style and have at least some deferred maintenance. The U.S. Commerce Department estimated that 374,000 brand-new homes were sold in the country last year. 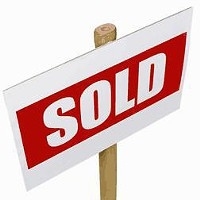 Resales of existing homes in the same period totaled 5.1 million, according to the National Association of Realtors. That means brand-new homes made up slightly more than 7 percent of the total home sales.